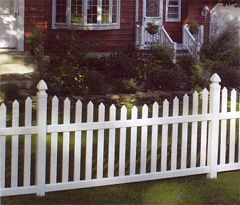 The concave vinyl picket fence has the "good neighbor" feature, which means it looks great from both sides. 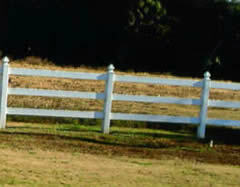 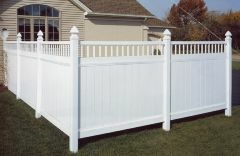 This vinyl privacy fence is available in 4', 5', and 6' heights and in 4 different colors: white, tan, grey, and clay. 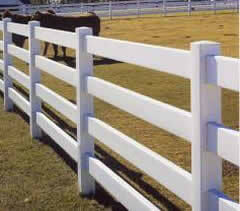 This post and rail vinyl fence adds clean lines to the yard. 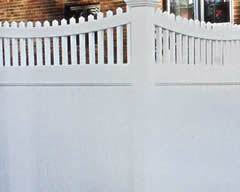 This vinyl fence has a Victorian accent at the top. 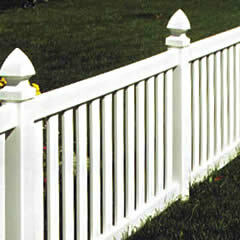 This post and 4 rail vinyl fence offers years of care-free durability. 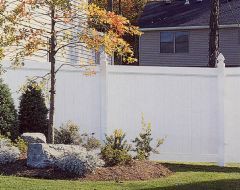 This vinyl fence along the driveway adds a nice landscaping touch. 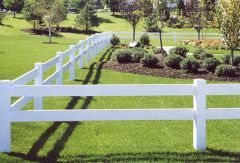 Vinyl with nice accent top. 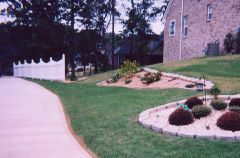 This is sure to turn heads.